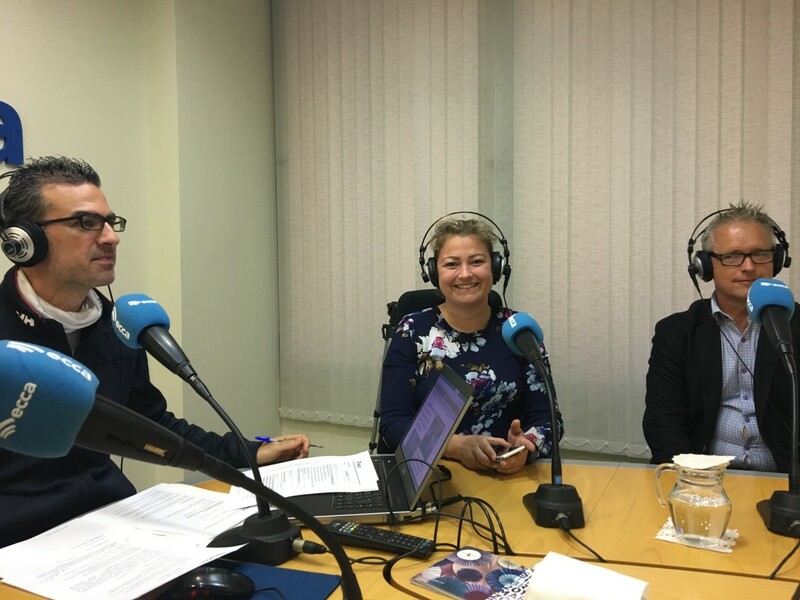 Together with our partner Etablerersenteret of Hordaland Fylkeskommune Inclusion visited Radio ECCA 22 January – 24 January. Radio ECCA is an educational and learning center, established by the jesuit priest Francisco Villen in the Canary Islands in 1965. Radio ECCA uses technology (radio or ICT) to perform its educational work. It has its own learning system, the ECCA system, in which the educational material, the sound class and the training document are synchronized. It was very useful to learn how Radio Ecca is working both on the Canary Islands and also abroad with both formal and non-formal education. A main focus of the study was to see how the Ecca system was built up to teach immigrants. Radio Ecca has also for some years shifted focus towards e-learning, another area of particular interest where Etablerersentert / Inclusion could exchange ideas and experiences with the host organisation. Picture above is from a live air broadcasting session where we were interviewed directly on live radio. Pictures below is from day 2 of study visit. 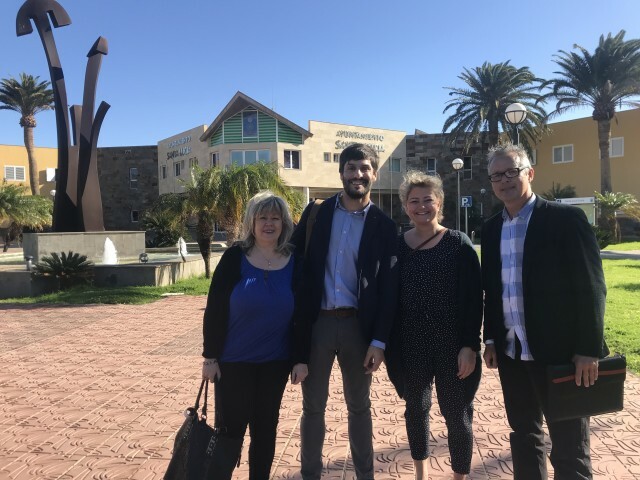 From left: Sidsel Humberset (Etablerersenteret), our eminent host Juanjo Perez Estévez of Radio Ecca, June Kristiansen (Etablerersenteret) and Paul Bø (Inclusion). From a visit to the town Santa Lucia. 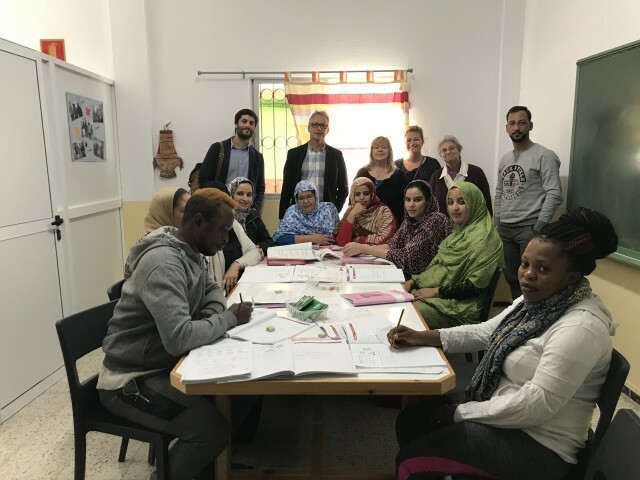 Here we are visiting Radio Ecca´s partner Centro Sagrado Corazon, as they are in the middle of a language session for immigrants living on Gran Canaria.